Natsuki Kizu’s popular boys-love manga Given is a popular boys-love manga by Natsuki Kizu that is serialised in Shinshokan’s Cheri+ magazine. It has been announced that the series is receiving an anime adaptation and will premiere on Fuji Television’s noitaminA programming block in July. The musical series will star Shougo Yano as Mafuyu Sato on vocals and guitar, Yūma Uchida as Ritsuka Uenoyama on guitar, Masatomo Nakazawa as Haruki on bass, and Takuya Eguchi as Akihiko Kaji on drums. 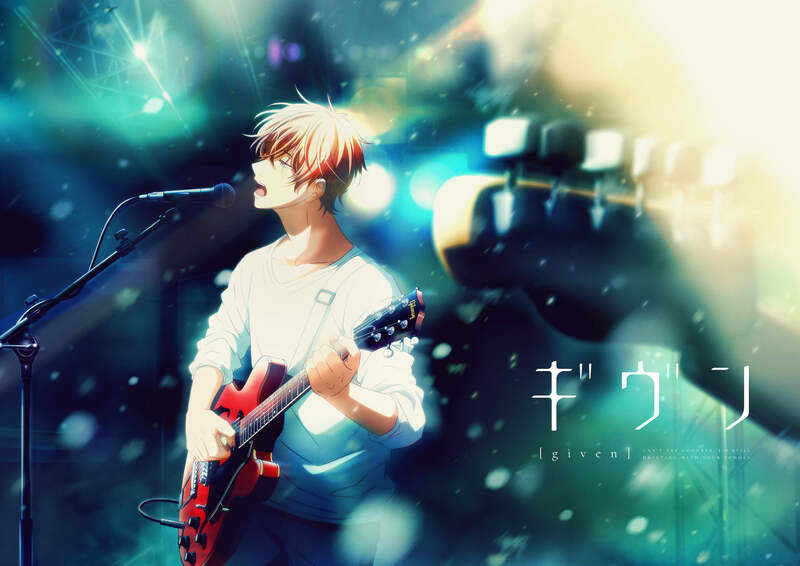 The series centres on Ritsuka who has lost interest in playing guitar. One day he meets Mafuyu, who has a broken guitar. The two of them start playing together, but when Ritsuka hears Mafuyu’s voice, his feelings for him begin to change.